Romance is in the air with Nashville outdoor lighting! 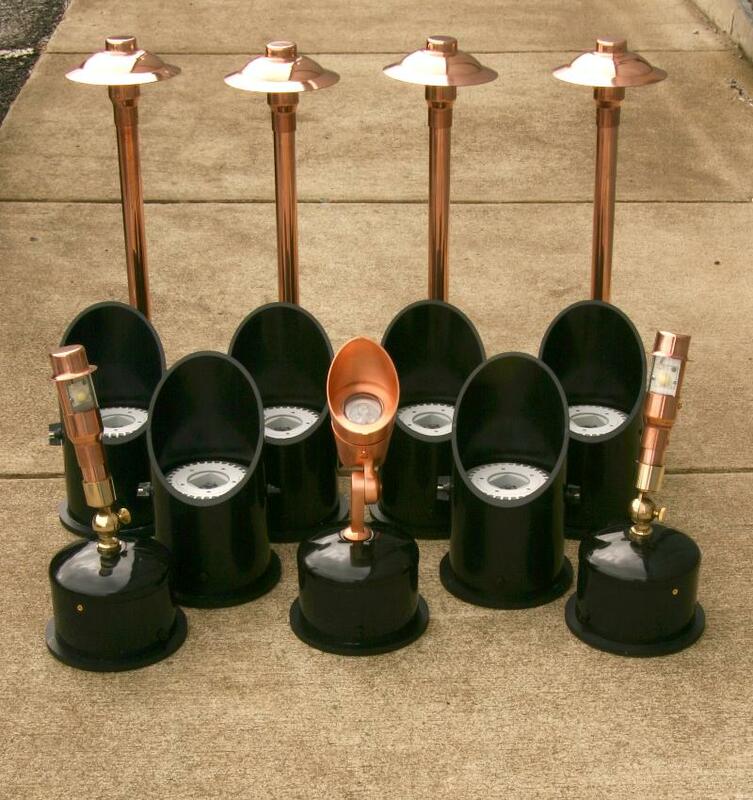 Outdoor lighting makes the perfect gift for any occasion! Imagine what a unique and unexpected surprise the gift of light would be for Valentine’s Day? You can bestow your love with a dreamy outdoor mood for Valentine’s Day and illuminate the evening thanks to a gift certificate for the gift of light from Outdoor Lighting Perspectives of Nashville. Whether you want your honey to have the opportunity to sit with one of our lighting designers to create the look and feel they would like for your home and property; OR if you want to do it in advance and let them experience the big reveal as they drive up to your home–we can work with you to create the ultimate Valentine’s Day gift. Should a romantic mood be in order, we can temporarily change out your clear well light fixture lenses to red ones so that a gorgeous rosy glow can be cast over the front of your home to commemorate the day of love. There is no doubt that outdoor lighting for your home and garden delivers a unique setting and atmosphere that dramatically changes your landscape in the evening. Outdoor Lighting Perspectives of Nashville can help you turn your outdoor living areas into an enchanted retreat filled with endless romantic ambiance. Why go out to a crowded restaurant on February 14th, when instead we can turn your patio or deck into an exquisite spot for a dinner for two? We can elegantly swathe fiesta lights overhead so that you can enjoy an evening under the stars with the feel of a fancy European restaurant. Best of all, it’s permanent—so it’s the gift of light that is continually making memories night after night. No matter what your outdoor lifestyle is, we can maximize on it with customized lighting. If your backyard is where all the parties and barbeques happen, or where the family likes to toss the ball around and hang out by the pool, or if it’s just a quiet retreat to dine and enjoy the evening air by the fireplace—we can ensure the fun can continue well after dusk. We use only high quality, American made fixtures and the thickest wiring in the industry to ensure high value and a system with longevity. The gift of outdoor lighting is one that lasts and your love will be reminded of this every evening when the sun goes down and your outdoors is magically transformed into a romantic oasis. When the floral bouquet and the expensive restaurant dinner are long gone, your present of illumination will build memories every evening and will not be forgotten. Best of all we can work within your budget and design a customized design that won’t break the bank and it increases the value of your home. Let Outdoor Lighting Perspectives of Nashville show you how we can create passion not only on Valentine’s Day evening, but every night after that when we turn the darkness into a wonder of romantic light. 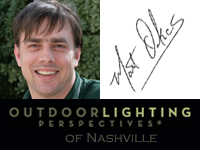 Call Outdoor Lighting Perspectives of Nashville at (615) 373–0638, or by emailing us at: olpnashville@outdoorlights.com. As you will recall in our August 18, 2014 article, There’s more to do in Music City than just music — much more!, Nashville was voted #1, the best American city for barbecues in 2014 by Travel & Leisure magazine for being home to a “greatest-hits” collection of barbecue styles. To continue with the best barbecue stewardship, on May 14-16 of this year, as it does every year, the Memphis in May International Festival hosted the 47th Annual World Championship Barbecue Cooking Contest, and our own Bob Lyons Jr. had the privilege of joining the Peg Leg Porkers competitive BBQ cooking team. The Memphis in May International Festival promotes extensive education, international, and economic programs for Memphis, but it is most widely known as the promotional umbrella and organizer for the numerous annual events Memphis hosts each May. As the city’s largest “community entertainment happenings”, each is professionally and spectacularly executed, making events like the Beale Street Music Festival, the World Championship Barbecue Cooking Contest and the Sunset Symphony some of Memphis’s can’t miss pleasures to attend with friends and family, all throughout the month of May. As attendees of so many of these phenomenal events each year, it just didn’t seem like they could be any better. WRONG…multiply that feeling times 2 when you are an active part of the happenings!! Bob Lyons Jr. described his participation in the World Championship Barbecue Cooking Contest with Carey Bringle and the entire Peg Leg Porkers team as one of the most unforgettable times he’s ever had. That’s not too surprising, considering it’s the 26th time Carey, pitmaster and leader of the Peg Leg Porkers team, has personally competed (12th for Peg Leg team) and especially since he and his team are more commonly known as pitmaster pranksters with a reputation for thoroughly enjoying themselves at each event. Every year, this World Championship Barbecue Cooking Contest entertains visitors from all 50 states, as well as several foreign countries from around the world. This year Outdoor Lighting Perspectives of Nashville lent its expertise in the field of outdoor lighting by supplying a bit of “special event”/festival outdoor lighting for the occasion. Once again “the largest barbecue-cooking contest in the world”, so titled by the Guinness Book of World Records in 1990, the Memphis in May Festival’s 47th Annual World Championship Barbecue Cooking Contest was a huge success! 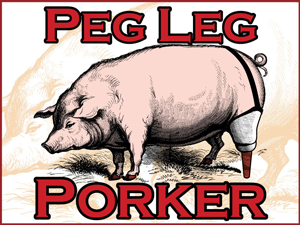 We want to congratulate Carey Bringle, Bob Lyons Jr. and the entire Peg Leg Porkers team for participating. If you’d like to check out some of the prize-winning pork cooked with Carey’s own dry seasoning spice blend and Wet Sauce recipes, be sure to stop by his Peg Leg Porker restaurant conveniently located between the downtown community and the residential areas, in the Gulch section of Nashville, at 903 Gleaves St. Nashville, TN. If you have an upcoming special event for which you need temporary outdoor lighting to create the perfect ambience and mood, give Outdoor Lighting Perspectives of Nashville a call to discuss your options. We offer a host of temporary and special event lighting options. 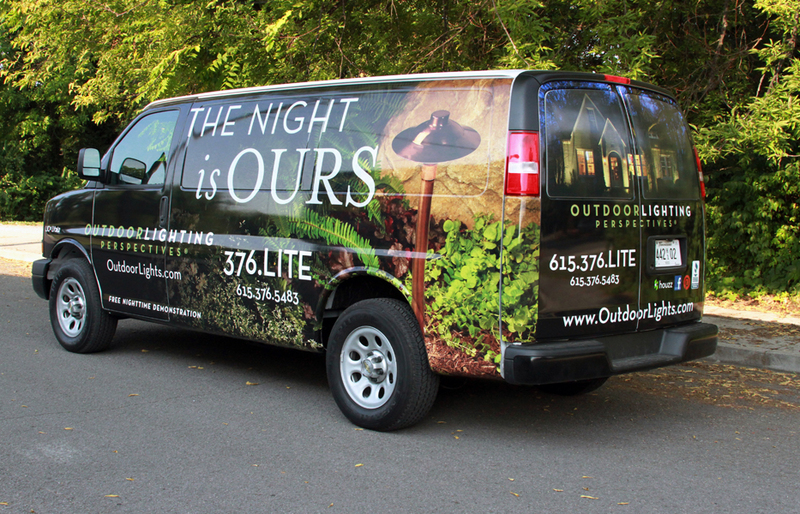 Contact us at (615) 373 – 0638 or via email: olpnashville@outdoorlights.com. Let Outdoor Lighting Perspectives of Nashville enhance your celebrations with special event lighting! Nashville wedding & special event lighting. Hosting special events to acknowledge and celebrate the important people and milestones of your life brings abundant personal joy. You work hard planning out all the details for the big events and the small ones, like weddings, graduations, birthdays, family reunions, job promotions and even fundraising events for your favorite charity, club or organization. You pick the when and where, the food, the music, the photographer, the color scheme and decorations…but what about the lighting? Outdoor Lighting Perspectives of Nashville provides temporary lighting for all your outdoor (and indoor) events you have planned. For an outdoor party you can extend your “party” space with our special event lighting. With the right lighting your guests can spread out into more of your back yard beyond the deck or patio. Our temporary special event lighting (as well as our permanent landscape and garden lighting designs) provide ambiance and make your back yard come to life after nightfall. It opens up plenty of additional space for your guests to circulate more easily and feel more comfortable. Lighting extended areas will encourage guests to use the areas beyond your primary location adding space to your event location. When hosting an outdoor event, safety is always an important consideration especially in the evening. Backyard terrains are grassy and often uneven, which can sometimes make sure footing uncertain. Without the proper lighting, your nighttime event mixed with high heel shoes and guests engaged in conversation as they stroll, opportunities for disaster are sure to arise. Make these areas safe for all guests (even those in heels) with ambient light for your grassy areas, gravel paths and cobbled surfaces. Proper illumination of the entry path and the party will not only enhance the safety of your event, but it will set the mood as well, making it an enjoyable evening for all. What is a special event without pictures? How many times have you been heartbroken over candid photos of your family gathering or birthday party that weren’t taken in a properly lit area? Those are missed moments that you can’t get back. Whether you’re hiring a professional photographer, or have everyone using their cell phone cameras to snap lots of candid shots throughout the party, the right lighting is essential for getting it all on film with good color and clear faces full of expression. Memorial Day is right around the corner! No matter how elaborate or simple your gathering, be it a fully catered cocktail party for your best friend’s engagement or a family reunion barbeque with relatives you haven’t seen in years, our special event lighting will ensure your party venue is awash in excellent photo-op spots. You’ll have plenty of light to capture the vignettes of love and laughter in memory rich photos that you and your family can enjoy well after the party remnants are all cleaned up. Don’t let the lack of proper lighting throughout your event venue limit your party space, reduce your guest’s safety or prevent you from getting all the special memories of the occasion on film. Outdoor Lighting Perspectives of Nashville specializes in special event lighting and residential and commercial outdoor lighting. Whether you choose an indoor or outdoor venue, our custom designed special event lighting will ensure your social gathering is memorable. Our large selection of fixtures, including festival lighting and LED lighting combined with our experience in utilizing unique lighting techniques enable us to create an atmosphere that enriches the overall experience for you and your guests during your perfectly planned milestone event. Visit our website, and our Houzz gallery, for more inspiring images of our outdoor lighting including special event lighting! 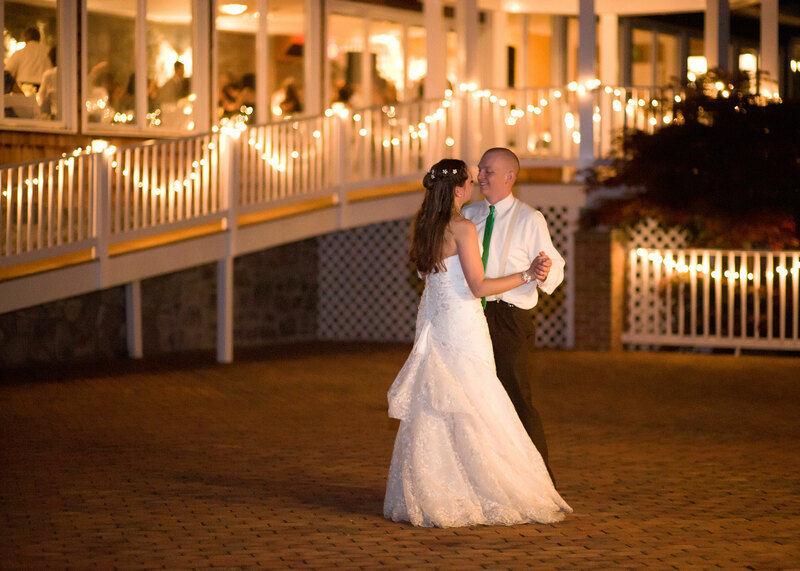 Say “I Do” to our special event lighting for your special day! Nothing is more memorable than your wedding day. It signifies the beginning to a new chapter in your life. When it comes to choosing the venue for your wedding, times have changed. With the wedding season underway, more brides are opting for outdoor weddings, evening weddings and wedding venues that take the traditional ceremony to a whole new level. Part of the reason couples are choosing a setting that is less traditional is the freedom it allows for self-expression in designing and setting the mood for your special event. A crucial part of creating romance and a memorable atmosphere to look back on and cherish for years to come is the manner in which you design your wedding venue. In order to convey a theme, or personal style of the bride and groom every facet of your nuptials takes planning. This can be to the color of the paper goods used at your reception, to the blooms you choose for you floral arrangements, bouquets and centerpieces and even the band you book to play your reception. As part of this planning, never overlook the role proper lighting can play in the enjoyment and success of your wedding. Outdoor Lighting Perspectives of Nashville provides temporary lighting for events and special occasions such as weddings, outdoor proms, graduation and birthday celebrations, family reunions and other outdoor (and indoor) events you have planned. Lighting extended areas will allow guests to use the areas beyond your primary event location. The right lighting can add space: That’s right — One thing our customers tell us time and time again is how much more they and their guests use their back yards once they add permanent outdoor lighting. “It’s like that part of my yard didn’t existing at night because it’s not lit up at night”. For an outdoor party, this is even more important consideration. You don’t want your guests on top of each other when there’s plenty of room just begging for illumination. Proper lighting can really open up that area for use and allow guests to “spread out in the space” comfortably. Consider an outdoor event under a tent. If only the tented area is illuminated, everyone will stay under the tent. But, perhaps there’s an adjacent gazebo or patio which could double as a dance floor. Lighting extended areas will encourage guests to use the areas beyond your primary location adding space to your event location. The right lighting can enhance safety: Safety is always an important consideration when hosting an outdoor event, especially in the evening. Grassy areas can hold numerous pitfalls that can make sure footing difficult. Then,add the darkness of night, and high heel shoes to the equation and without proper lighting you have a recipe for disaster! With proper lighting, traversing grass, gravel paths and bumpy surfaces such as a cobbled walkway (even in heels) can be made safe. Proper illumination of the entry path and the party will enhance the safety and ultimate enjoyment of all your guests in the evening. Lighting will ensure your event goes off without a hitch! Romance is in the air – have you thought about the lighting for your special day yet? The right lighting enhances evening photography: Maybe you haven’t considered the impact a darkened venue or landscape will have on the quality of your wedding photography. But the lighting can impact the quality of those pictures you will hold dear for an entire lifetime. Good outdoor lighting renders colors and images in a way similar to how they are seen during the day. If it’s a wedding, imagine the difference between outdoor evening photos with good illumination and without. The same applies if you’re hosting a graduation party or family reunion and likely won’t see those relatives in attendance again for many years, you want to capture all of the moments that will turn into memories. Good lighting will help make this possible! Outdoor Lighting Perspectives of Nashville specializes in special event lighting, including wedding lighting, and permanent landscape and festival lighting. Whether you choose an indoor venue, or an outdoor wedding our special event lighting will ensure your wedding day is memorable. Our large selection of fixtures, including festival lighting and LED lighting combine with our experience in utilizing unique lighting techniques enable us to create an atmosphere that embraces beautiful beginnings and happily-ever-after’s. Please visit our landscape and garden lighting photo gallery and our holiday lighting photo gallery located on our website for inspirational special event lighting! We are overflowing with excitement in our most recent special event lighting project. Outdoor Lighting Perspectives of Nashville lit an event at the historic Houston Station in downtown Nashville. The event was the annual dinner and silent auction to benefit The Overbrook School. 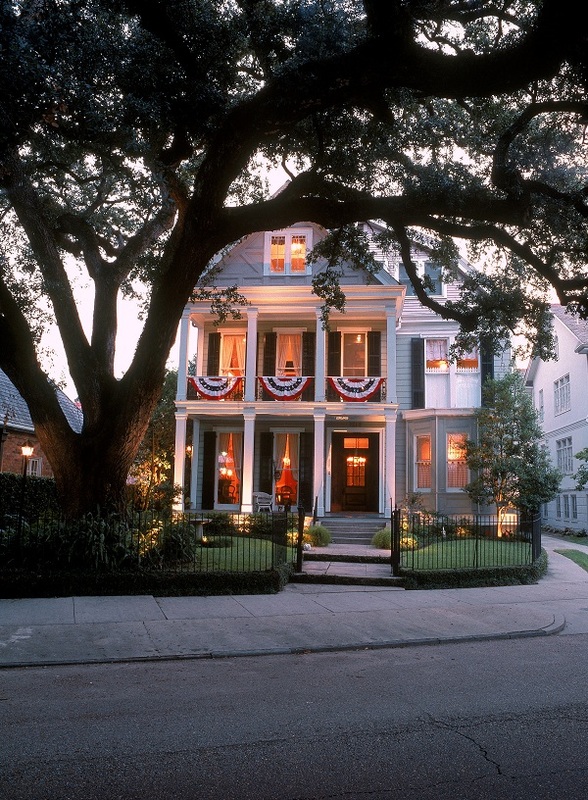 The theme of this special event was titled “A night in the French Quarter”. The interior of Houston Station was brought to life with the feel and romance of New Orleans. Outdoor Lighting Perspectives of Nashville lights Houston Station for “A night in the French Quarter”. Outdoor Lighting Perspectives of Nashville assisted in providing draped mini lighting throughout the 19th century building’s main hall. We also highlighted the items for the silent auction down the hallways with simple down lighting from the rafters. We used LED copper event lighting to create a warm feeling as guests walked through to dinner. Inside the main event area, we instilled the use of temporary battery-powered LED up lights around the entire perimeter of the room. This enchanting technique helped to bring out the richness of the vintage bricks and beams within the room’s architecture. We topped off the theme by using copper LED post lanterns at the entrance into the event and at the sign-tables. The carefully selected venue for this New Orleans themed event combined with the well-appointed decor, and our romantic special event lighting made you feel as if you had stepped right into the French Quarter. The evening was a resounding success for The Overbrook School. Outdoor Lighting Perspectives of Nashville is proud to have been part of creating the beautiful setting. We want to thank the school and the parents. Great job parents on an evening of splendor and fun! 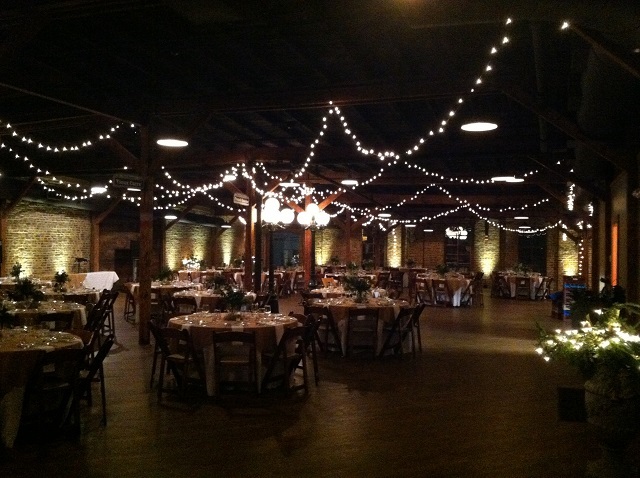 If you have an upcoming special event, indoors or outdoors, contact Outdoor Lighting Perspectives of Nashville to inquire about our special event lighting. We can create a design to enhance your themed event and make it a night to remember. Visit our website for more inspiring images of our outdoor lighting, including our before and after photo gallery and our outdoor lighting photo gallery.